All.Above.North, a Christian indie rock band from Sydney, Australia, have released their new album 'How Great It Is To Be Broken'. The current single 'Please Don't Forget Me' is about being open and honest with God when we face trials and hardship, in the same way that King David was in the Psalms that he wrote. The song is about a faithful crying out to God for help, and having a trust in Him that He will lead us through and not let go of us. 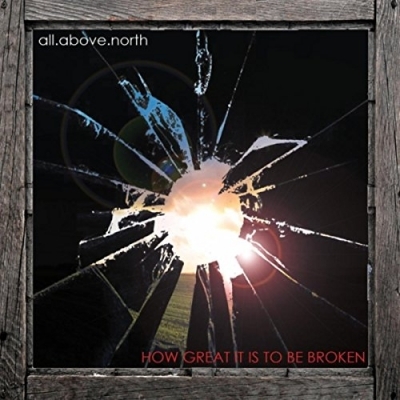 Read More All.Above.North, a Christian indie rock band from Sydney, Australia, have released their new album 'How Great It Is To Be Broken'. The current single 'Please Don't Forget Me' is about being open and honest with God when we face trials and hardship, in the same way that King David was in the Psalms that he wrote. The song is about a faithful crying out to God for help, and having a trust in Him that He will lead us through and not let go of us. The band’s name is a reference to God the Father of the Christian Bible, who, "… looks down from His holy habitation, from heaven, and blesses His people." All.above.north operates on a belief of obedience to what God calls the band to do for His glory, not the band’s, and that what all.above.north creates truly is by God, for God and because of God. All.above.north uses contemporary music to deliver honest and open lyrics. Steering clear of the traditional ‘church worship album’, all.above.north draws on alternative and indie rock influences to create music to appeal to a wide audience and then adds lyrics about real-life experiences of daily Christian living. The last song on the new album is the title track, ‘How Great It Is To Be Broken’. This song recognises that sometimes God brings us through periods of refining and perseverance - which at the time can seem like extreme trials and hardship. But this song acknowledges God’s gentle and merciful hand at work in our lives during those times, and thanks Him - recognising that God’s hand gently breaks down those things in our lives which are sinful so that He can rebuild us again. It is a song of joyful thanks and praise to God.